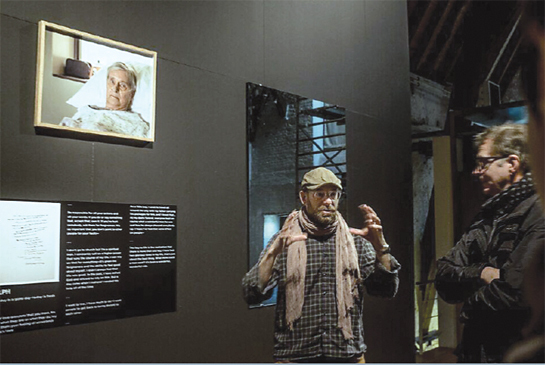 Nelly Gutierrez, 63, is among those featured in the exhibit and book “Right, before I die.” The Sylmar resident is living with several serious illnesses. 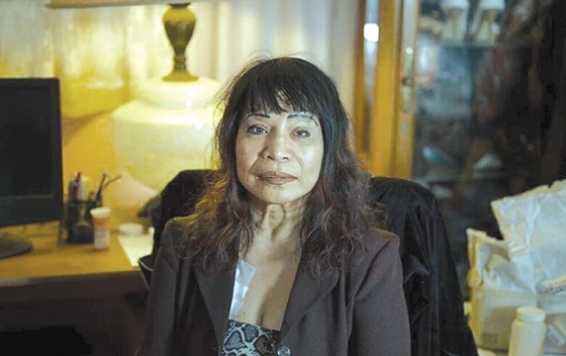 Five years ago, Nelly Gutierrez was devastated by the news that she would need to undergo dialysis for her failing kidneys three days a week for the rest of her life. The Sylmar resident, now 63, also suffers from heart and lung disease, she told the Journal. But it was her diabetes that had wrecked her kidneys and caused her body to swell painfully. A kidney transplant wasn’t a sure thing, and the three-hour dialysis sessions would leave her weak and uncomfortable. A year later, Gutierrez prayed to God for help as she struggled with wanting to end her life. Soon thereafter, she got the idea to volunteer at a senior center, working with elderly people also facing issues of life and death. The endeavor gave her own life meaning, even as her body continued to fail. “My joy is to see people smiling and to have the courage to go on with their lives,” she told the Journal. Gutierrez is one of 20 patients profiled through photographs, text interviews and handwritten letters in Andrew George’s “Right, before I die”; she is the only one of his subjects still alive. In her portrait, she appears dignified and well dressed, with a bandage from a dialysis treatment peeking out from behind her blazer. Then there is Michael, a former junkie who went on to found eight Christian missions in Mexico, where he regularly provided food and supplies to the communities. “I can walk out of this earth with my head help up high and just go the way I came, naked,” he says in his interview. Press materials for the exhibition note that the show is intended as a “counterpoint” to California’s End of Life Option Act, which went into effect on June 9. The law gives terminally ill patients diagnosed with six or fewer months to live who have the capacity to make medical decisions the right to seek a lethal prescription from a physician. Most Jewish groups have opposed the law because of the concept of pikuach nefesh — the mandate to protect human life. “At its core, the exhibition speaks to the importance of human dignity, which is an essential theme of the Museum of Tolerance,” Liebe Geft, director of the MOT, said in an email. George chose to focus on seriously ill and dying patients who had overcome the fear of death and could impart a degree of wisdom about life. To find potential subjects, he approached officials at dozens of hospitals and hospices around Los Angeles, all of whom turned him down. But in 2012, Dr. Marwa Kilani at Providence Holy Cross Medical Center seemed to understand his goals and agreed to refer him to patients who displayed a particular kind of grit. Photographer Andrew George is based in Los Angeles. His work has been in 18 international exhibitions, most recently at Musea Brugge in Belgium. Whenever he heard from one of these patients, “I would drop everything and drive an hour to the hospital, sit with them for four or five hours and ask the 37 questions I had come up with,” George said. Those queries included, Do you have any regrets? What brings you joy? And do you experience love? Yet George eschewed asking his interviewees to disclose their illnesses, religious background or past professions. “I wanted to cut through anything that might create a barrier between viewer and [subject],” he said. George and Byock — who traces his concern for the value of all humans to his Jewish background — will speak at the show’s opening reception at the MOT on Aug. 18. “I’m going to talk about the importance of this cultural moment, in which the baby boomers have become the silver tsunami,” Byock said. “In our culture, we are living with people who are older than ever before in human history.